Do you want to read the story of an investor who has tripled his networth in just 8 yrs and learn about his great skills in financial planning? First let me start by thanking you and Jagoinvestor team for running this great learning portal (Jagoinvestor) and giving me an opportunity to tell my money story which may help some of the readers. To give you some quick background on myself, I live in Pune and I am an IT architect by profession working with Wipro. I come from an upper middle-class background with my father (passed away last year) been a banker and mother being housewife. I also have a younger sister who has been married and well-settled. I have been married with a 4- year old kid now and my wife takes care of home. My introduction to money management started at very early age. My father and mother were always advising us both kids to spend it right and all genuine/reasonable demands were met. However, we didn’t get any pocket money any time as we had been asked to ask for our needs and no money was just given to spend as we like. Even during my teens, we had a simple practice of giving complete account to mother/father for the money that was given to buy any items. So, I have always valued money to be spent and would continue to do that with my kid. My father was also a good investor in his time even with no internet and mobile phones available. He had invested in some stocks, some land/flat, FDs and PPF during my growing up days. As a kid, when I used to see him receive cheques for shares dividends for paltry sums, I used to ask him what is this that you keep receiving. He used to tell me that you will understand more with time. So, the curiosity started very early. My hands-on work in personal finance and financial planning space began when I started working in Bangalore at a very low salary (~10K in hand) and was always trying to see the best I could make out of it in terms of savings. To me, money saved was always money earned. So, I looked up on all possible legal ways of reducing income tax to start with and then investments in other avenues. It also gave me great boost that all friends used to ask me on how best to save taxes. Later, I did the same even when I was outside India by understanding IT laws of that country and ensuring I only paid required taxes. As my interest grew in financial planning, I started covering all bases including insurance policies, PPF investments. Interest in investments led to Stocks, MF, real estate and eventually Portfolio Management Services (PMS). For fixed income instruments, I keep some investments in Sukanya Samruddhi, NPS, FD and of course PF. Had created cash inflow/outflow projections for next 20 years and my estimated expenses at various stages considering inflation. This has led to investing as per goals at various stages like buying flat, child’s education expense at age of 15, 18, 21 and then marriage, retirement corpus etc. From where I started (10K per month salary with zero bank balance) 15 years back to today with well-over 6 figures take home salary, of course the salary has grown many folds but then expenses have too. My net worth has tripled in last 7-8 years (my salary went up by 50% in that time), Stocks/MF/PMS portfolio stands over 1 cr, 2 flats owned. Money attracts money and so, more investments I made, more returns I got. I bought a flat with no home loan few years back because of the investments made and that gave me great satisfaction. In one sentence, my equation with money is to maximise my potential. Be it earning through all legal means or maximising returns on my investments. Money has and will always be important to me just like others. Having enough money to me means all needs (and not necessarily all wishes) at different stages are met with ease. Spending money to me means that every rupee spent is worth the object to be bought. When I meet either of these, I am a happy and content man. If I fail on either one, it’s not losing money which troubles me but it’s the standard/process that I couldn’t follow which led to loss of money. My primary experience with money is that you need to be diligent with money management. When I was not diligent enough with couple of investments, I made bad calls and lost money. Similarly, informed decisions in investments have given me substantial returns. Like other aspects in life, Wealth creation takes time and knowledge. You have to be alert and keep reading to understand views from experts. Blogs like Jagoinvestor help a lot when you start on this journey. Money is not everything as they say but not having enough money brings everyday problems, I believe. People crib about not earning enough but they don’t know how to manage and invest what they are earning which leads to higher dissatisfaction. Then come compromises on various needs which have butterfly effect on other aspects of life. I have seen someone in my family who has retired from a very high post in Income Tax department, still doesn’t even own a single house and not enough retirement kitty which ssahows not being diligent enough with money management. He lost money in bad investments with no tracking and his family simply loved spending on shopping time and again. Then came excuses and defensive attitude. That’s the worst case of lack of money management that I have seen around. Cover your bases – Before you invest, make sure you insure yourself/family with right policies for Life, Medical, Critical diseases, House and Car (in that order). Start Early – It’s been said multiple times that when you start early, magic of compounding works big time. Make sure you start the habit of saving and investments early even for small amounts. Remember it is a habit and with time, you can increase investments. I started at age of 23 with saving not more than Rs 1000 in taxes but the habit was developed. Ask/Look for help – Solid financial planning is not everyone’s cup of tea. Leave it to experts (check with Jagoinvestor team) where required and don’t hesitate in paying small fees for that work. You also get paid for the job that you do because of your skillsets. Track your net worth – It is critical to track your net worth i.e. difference of assets and liabilities. Similarly, track your cash (FD/Savings Acc, Liquid Funds), fixed (real estate, PF/PPF, NPS) and variable assets (Stocks/MF/PMS/Gold). I try to maintain a healthy cash balance too. Return on Investments – Your investments should grow when you sleep. Make sure there are no dead investments. Lot of bank balance in savings account looks good but it is detrimental to wealth creation and leads to “money erosion”. Ideally Your investments should take care of at least your regular pay outs i.e. Loan EMI, Credit Cards, Policies premium. Track your monthly expenses – I have created simple excel sheet to track all expenses in a month. I then bucket them in real expenses, Liabilities pay out (Loan EMI/Insurance premiums etc) and investments (SIP, Endowment Policies, NPS, Sukanya Samruddhi etc). The idea is to capture % of your income getting allocated to these sections and avoid unnecessary expenses. Typically, I average 35% in expenses, 35% in liabilities, 25-26% in investments and remaining as just savings. Share with spouse – Share with spouse details of your bank accounts with passwords, complete details of assets and liabilities. You never know when would they need it suddenly and you may not be around. Trust me, it becomes impossible for someone new to find all your investments. I have created simple excel sheets, keep updating them and share them with my wife. I store all physical documents in one place. Diligence in money management – As there are no shortcuts, make sure you read enough and then make informed decisions. Respect your hard-earned money. Wealth Creation – Key is to create wealth over period and increasing your net worth. We are not born millionaires. Aspire, not greed– When you see someone successful/failure in money matters, try to learn. Aspire to be successful but don’t envy or have greed. Don’t lose night’s sleep because everyone makes mistakes. There’s always a chance to make a comeback but with patience and again, no short cuts. I learnt this from my father who made all right investments but was still very detached emotionally from those investments. Follow the right processes and money will follow – Wealth creation is a result or even a by-product (if you may). Following right processes of money management will lead you on the right path. So, that’s it, folks. Hope my story helps some of you and you can benefit from learnings/best practices I shared. Would like your views on areas that you think I might be able to do better in money management. I hope everyone has learned a lot from his story. Very well explained money story, inspiring and tells the importance of balancing in different types of investments at an early age. Thanks for sharing such an informative story..
An inspiring article. Really shows the value of being disciplined with money and investing consistently. A few more numbers and investment strategies used by the author would have been helpful. Thanks for your comment Anomitra .. Please keep sharing your views like this..
Current Age of Manish is 35 yrs, but why do you need my age? A good experience sharing article. What I like is the author’s balanced approach in viewing Money – Need to meet all NEEDS at ease not all WISHES. Aspire, not Greed!! Lot of takeaways too – Be aware, Be disciplined, Save at all opportunity, Be informed, Be planned and have a Process……. Had created cash inflow/outflow projections for next 20 years – Are there any tools /template for this to be generated?? A longtime reader – Keep up the Godo Work, Manush. I did not understand what you mean by “Are there any tools/template for this to be generated”? One issue that comes up in many personal finance discussions is how can this be done and no numbers are provided as proof. Many times, this qustion is asked for understanding out of curiosity and some times with a view to copy it(ctrl C + ctrl V in windows terminology). One needs to understand that anyone’s position is unique and ctrl C + ctrl V is not possible. Hence in this context, numbers may not be relevant. But key take away, as i see it, is that if one starts on a goal, with diligent planning and discipline one can achieve it. The achievement in turn propels him to achieve higher goals. From a personal perspective, I can vouch for some steps of the story. Wealth creation can be a goal. There is no direct or linear path for this. This(lack of wealth) can be addressed from many perspectives. What I felt was, that there are good opportunities in reducing tax outgo. For this, one needs ot understand a bit of taxation. A better starting point for this is to file tax returns online by oneself. From this(which I strted in 2009, i understood, how tax is computed and how the same can be minimized. One more personal observation is that ctrl C + ctrl V many not always work as everyone’s situation is unique. One needs to put in effort to understand the statute, one’s state, one’s strengths and weaknesses etc. With that understanding, one can try leveraging strengths to achieve one’s goals. The narration is regarding success due to the help of Jagoinvester but atleast should have disclosed some basic idea regarding what type of investment suggested by your team. Sir, we have not suggested this author anything from our side. He is just a reader ! The story is no doubt impressive and it seems he is very knowledgeable as well. But actually the base figure which was tripped is important. Let me tell you for myself (i am not good in managing money), in last 10 years my NET WORTH increased by ~8 times. But i still think my Networth now is not good enough (and that is because the base figure which was multiplied by 8 times was low). Yes, the base has to be bigger otherwise even 100X is of now use ! Thanks for your comment Molitics .. Please keep sharing your views like this.. 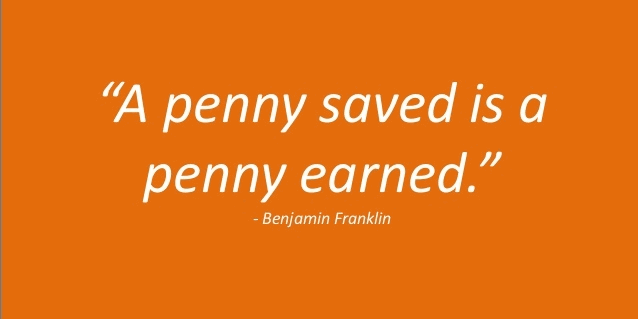 It is a magic i.e., power of compounding follow the rule No.1 as narrated above “A penny saved is a penny earned”. Try to be a consistent investor with the help of Good Investment consultant….. Every one can dreamt to be a Millionaire. Thanks for your comment vinod kumar verma .. Please keep sharing your views like this..
Good article to brush up my own investment routines. Recollected good things such as to share with spouse etc which I didnt since many days. Thanks for your comment Pankaj Agrawal .. Please keep sharing your views like this.. I am a long time reader of Jago Investor. A bit disappointed with this article. This is such a generic article. I agree that compounding works wonders and that saving early helps. I have written about it myself sewveral times with data to back it up. But to get to a 2+ crore net worth in 15 years starting from 0, the numbers don’t quite add up. It would help if there are better numbers to back up such claims. I don’t intend to spoil the party by being the “skeptic”. But generalizations don’t really help anyone. I have increased my salary by 15x in less than 10 years. But saying this and not giving actionable steps (and instead general gyan), won’t realluy help anyone. Looking forward to more actionable posts on jagoinvestor. Also I invite you and many other readers to write some guest article if you can. Please contribute to the community if possible? I agree, Manish. I think we need to understand the message that Author is conveying which is good habits/process of financial management. Numbers can be different for different people but the habits and learnings can be used. To me, this is a good write up on Personal Finance Management and hence, there can be never a better story than someone’s own life experience. Thanks for your comment Neha .. Please keep sharing your views like this..
Once again you told us a awesome story. Thanks for sharing such and experience to us. Thanks for your comment Anuranjan .. Please keep sharing your views like this..
Sir, that is author personal sheets. You will have to contact him for that ! good, inspiring story like always from the stable of Jagoinvestor. Start Early, Cover all “critical” bases & compounding! At one point in article, the author mentions “My net worth has tripled in last 7-8 years (my salary went up by 50% in that time), Stocks/MF/PMS portfolio stands over 1 cr, 2 flats owned.” .